Are Birds the Best Pets? things! While birds aren't the best pets for everybody, "bird people" know that they are the best pets for them -- and that's who this article is written for! So, what are the specific reasons that birds make better pets than cats and dogs? Read on for a list! You don't have to take a bird for walks. Anyone who has ever owned a dog knows that it's not always convenient to take them outside to go potty -- which has to be done several times a day, sometimes at night, and regardless of bad weather. Cat owners have to scoop their kitty's litter box several times a day to keep it clean and control the smell. With a pet bird, you never have to worry about this because they can be trained to use the bathroom in their cages! Sure, you have to deal with cleaning the cage, but you generally only have to worry about that once per day. Sounds a lot better than scooping a litter box or taking a dog out for multiple potty trips! Birds can learn to talk! As far as science is aware, birds are the only animals on Earth capable of learning to mimic human speech -- and this alone is one of the reasons that birds make great pets. What other type of pet can ask you how your day was when you get home from work, or tell you they love you in appreciation as you are feeding them? While not all birds can talk, the ones that do enjoy extraordinarily close relationships with their owners. Even though dogs and cats form close bonds with their people as well and communicate in their own ways, many bird owners agree that nothing compares to being able to teach your pet how to talk to you. 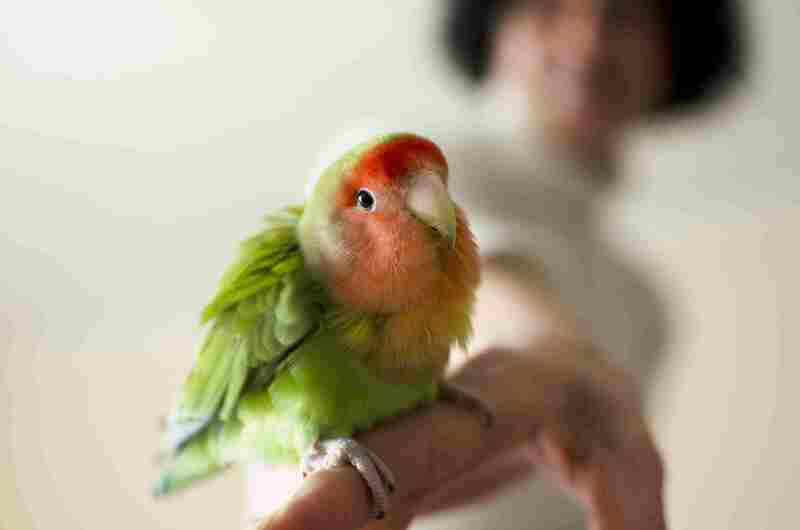 Many apartments don't consider birds "pets." Anyone who lives in rental properties and has pets knows that finding a place to rent is often more difficult for those who own cats and dogs. Sadly, many landlords and apartment communities place restrictions on the pets that their residents can keep, sometimes limiting them by size or breed. Even the rentals that do allow cats and dogs often charge large pet deposits if you want to keep an animal -- but many times, birds do not count as pets under their guidelines. 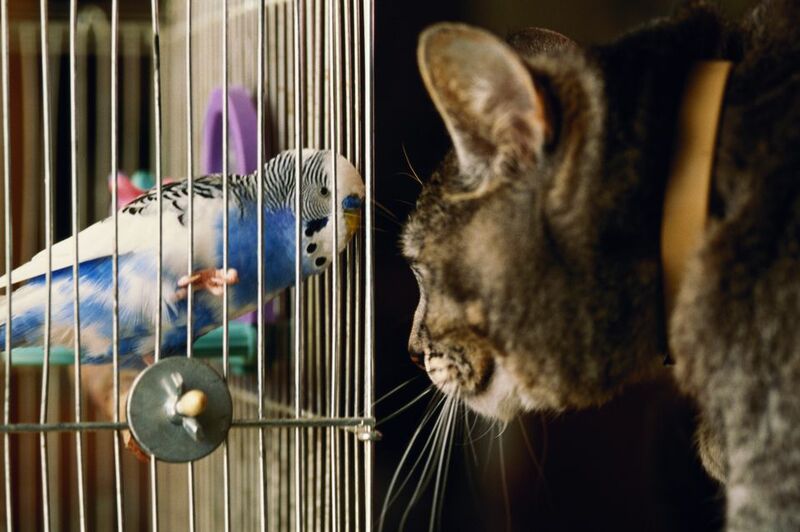 Most apartments consider birds and other caged animals as exempt from their pet fees because they tend to not do as much damage to an apartment as a cat or dog can. This is definitely something to consider unless you own your own home! Birds generally take up less room. Some dog breeds can grow very large, and cats need ample territory to roam and prowl in order to be happy. Birds, however, can be content in a relatively small area, as compared to other types of pets. Certainly, it is a good thing to have the largest cage you possibly can for your feathered friend, but depending on how much space you have available, you might choose to adopt a small bird like a budgie or parrotlet, and those do not need nearly the amount of space that a larger parrot would. You don't have to spay or neuter birds. Getting dogs and cats spayed and neutered is extremely important to their health and to help curb pet overpopulation. With pet birds, however, no surgery is necessary to prevent unwanted breeding. If you do happen to have a male and female bird that produce a clutch of fertile eggs, all that you need to do is not allow the eggs to hatch to avoid a nest full of babies.